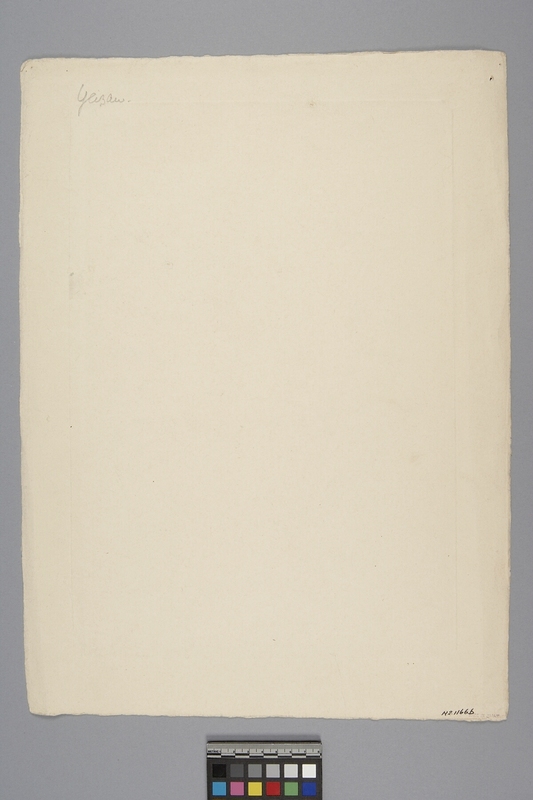 Item number N2.1166 b from the MOA: University of British Columbia. 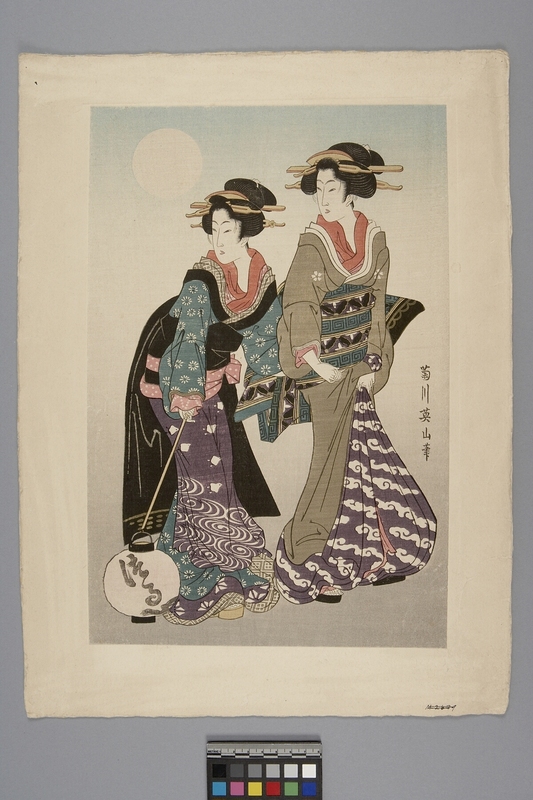 Print of two women (geishas) in the moonlight. Both are dressed in elaborate kimonos of polychrome.